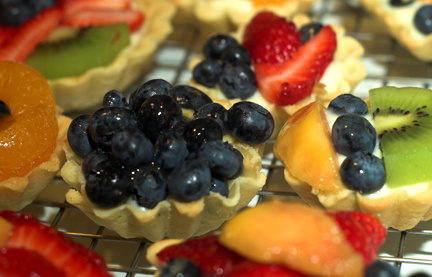 Recently we had a lovely summer barbecue at our friend’s home, and we brought mini fruit tarts for dessert. 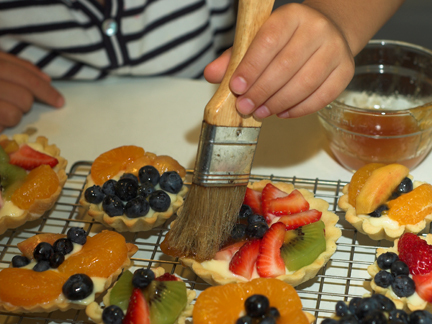 The fun part is assembling the tarts. Jamie helped me with the fruit designs. 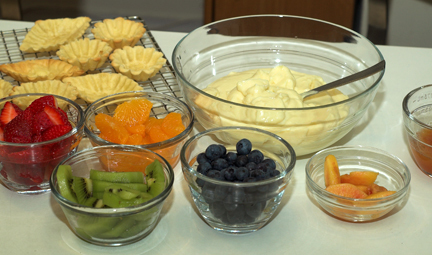 I first prepared the cut up fruit pieces, tart shells, pastry cream, and the glaze. Then I had him decorate the custard filled tarts with his own designs. He then “painted” on the glaze. Of course we loved them because they are tiny and cute (see Lego food). Also, they are such a delicious taste of summer’s bounty! 2. Let stand at room temperature until malleable. Roll out about 1/4-inch thick. Cut to fit mini tart pans. Press in and prick bottoms with the tines of a fork. Chill until ready to bake (I refrigerated mine over night). 3. Preheat oven to 375 degrees. Fill tarts with pie weights (or cover with a piece of aluminum foil sprayed with non-stick spray and fill with uncooked rice). Bake about 15- 20 minutes. Remove weights; bake 20 more minutes , depending on size of tarts. Watch closely – tarts should be golden — don’t let them brown too much. Let cool on baking rack. Using a sharp knife, remove shells to rack to cool completely. Be very careful, as shells are delicate! 1. Heat jelly and water together. Whisk. Add more water if necessary to get a consistency of thin honey which you can easily brush on fruit with a pastry brush. 2. Cut fruit into small sizes and shapes. Wash and dry berries. 3. Fill tart shells with a dollop of pastry cream. Make a design on top using fruit. Brush on jelly glaze with a pastry brush. 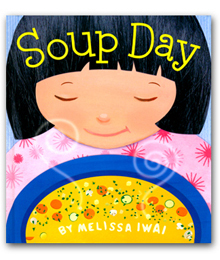 Look so yummy and fun to be able to make with the little one! Thanks — yes, he loved doing it! Wow, this looks so amazing! 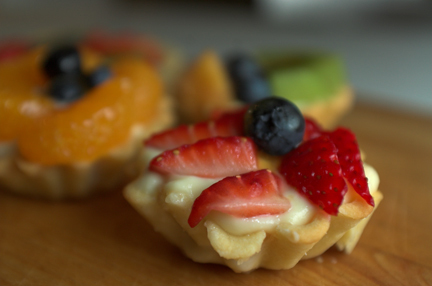 I looooove fruit tarts but I always end-up buying them at my favorite bakeries. I would like to try making them at home, but perhaps with the assistance of pre-made pastry dough. 🙂 This must have been such a treat at the BBQ. Very nice. I will bookmark this for future. Thanks for recipe. This looks so good. 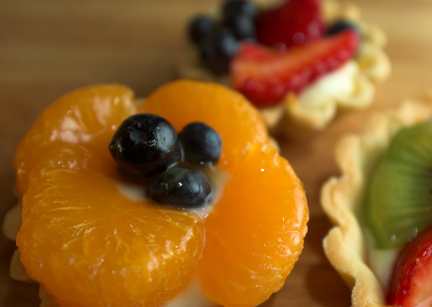 I love fruit tarts and hope I get a chance to make these before summer is over. this looks really good but where recipe for the dough???? Also, you could buy ready made shells if you didn’t have time to bake them. how many tarts does this recipe yield? It depends on the size of the tarlet pans you use! With the smaller ones, I can easily get about twelve to fifteen tarts. But sometimes I do slightly bigger ones also, so it varies. 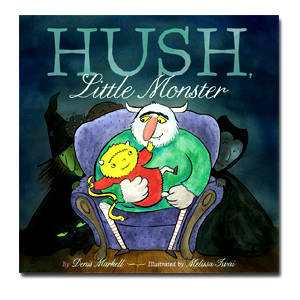 Artist” was a wonderful post, cannot wait to examine alot more of ur postings. Time to squander a lot of time on the internet lol. Thanks so much! It’s great for when berries are in season!